You want to go through the web site on a regular basis and remove outdated items. 2. Rotate your featured products. Support your latest products with blog posts and other social media efforts. By tracking visitors and how they use your web sites, you should learn where adjustments can be made to help improve conversions. 4. Update your paid search. Test out ad copy, introduce new keywords (improve your negative keywords). 5. Keep close tabs on the competition. Scope out what keywords they’re paying and learn about how they’re trying to win over new customers (they may introduce new incentives or refine others). 6. Make sure products are in stock. Your prices may be higher than other web sites and people may still buy from you. But if your products are out of stock, it will turn off a prospect. 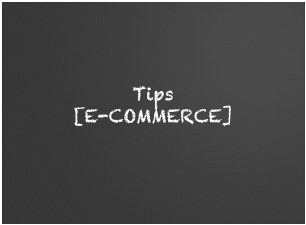 You may think you have the perfect user cues, including “add to cart” images. But it’s worth testing to see if you get better conversions with a new color or improved font. Free SEO Guide: Wasting Money?